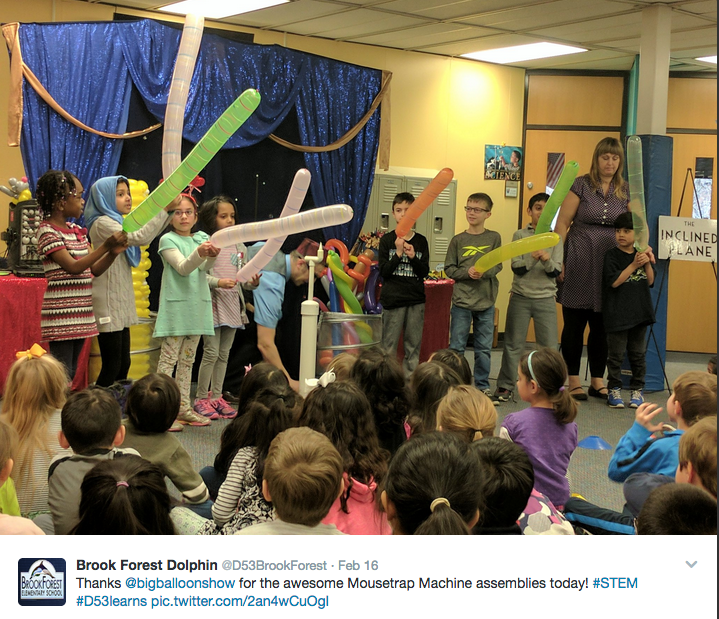 Home→Uncategorized→Mousetrap Machine gets rave reviews at Brook Forest Elementary! ← WGN-TV covers Mousetrap Machine Science Assembly on morning news segment! Twitter is a great way for schools to communicate with parents and let them know all the exciting things their students are doing in school! Thank you to Brook Forest for hosting our program!